Your loved one will be over the moon with this Engraved Love Poem Glass Frame. 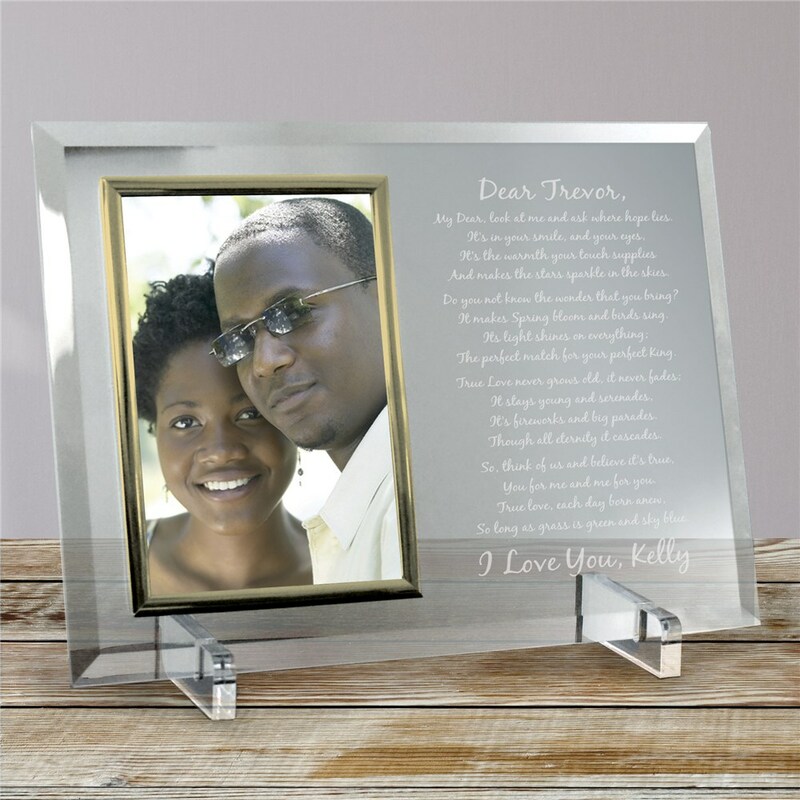 Our personalized love picture frame will be beautifully engraved with a poem — choose from two heartfelt verses by Anthony Bryant, © 2008 or write your own! Then, further customize this beautiful picture frame with a personal opening and closing sentiment. Beautiful frame your love one will admire for years to come! The actual product was of good quality. The feet are on the cheap side but overall it’s a nice piece! This product was perfect! Exactly as it was pictured and what we were hoping for. 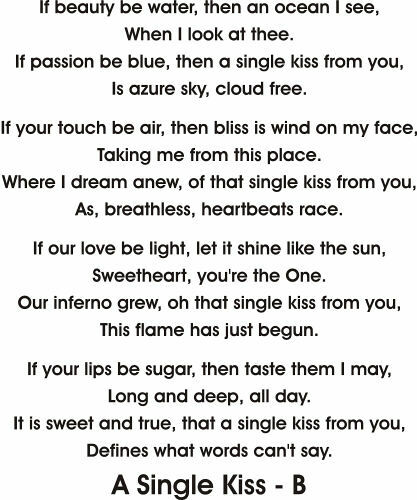 Even there was a mistake on one poem, it was rectified expeditiously. Great customer service! Additional Details Check out all of our personalized Valentines frames to display your favorite picture with a loved one.